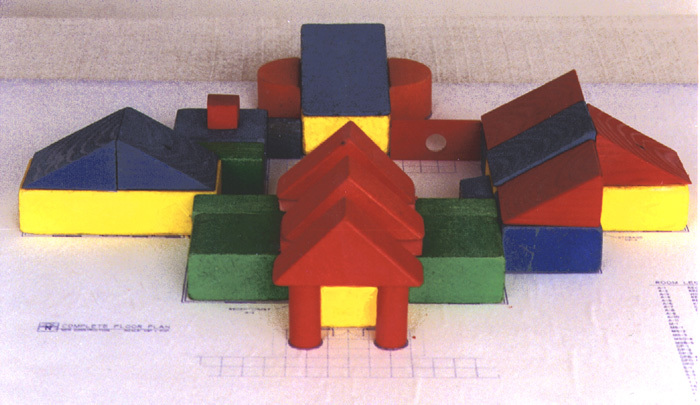 The architectural concept of a building for children that mimics colorful toy blocks created immediate interest in this building project and energized its fund-raising. 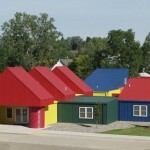 Pre-manufactured foam panels clad in steel siding of primary colors kept the cost down to about $88/sq. ft. and created a cheery exterior and a quiet warm interior where a staff of twenty educators, speech pathologists, therapists, and nurses provide special education and rehabilitation for infants and preschool children. 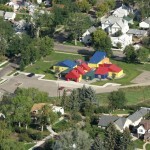 The facility includes preschool classrooms; spaces for therapy, consultation, napping, parents’ meetings; a safe, enclosed outdoor playground; kitchen; laundry; and child-sized bathrooms. The specific needs of these small clients made for some unique spaces such as the gross motor skills room — a room with a large curved wall where the students roll giant balls. The adjoining office has a window permitting another adult to keep tabs on the action. The infant room has low windows and small cupboards specifically designed for crawlers to explore. 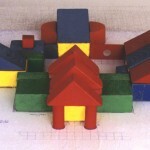 The entire building is at ground level with all doors wheelchair accessible. 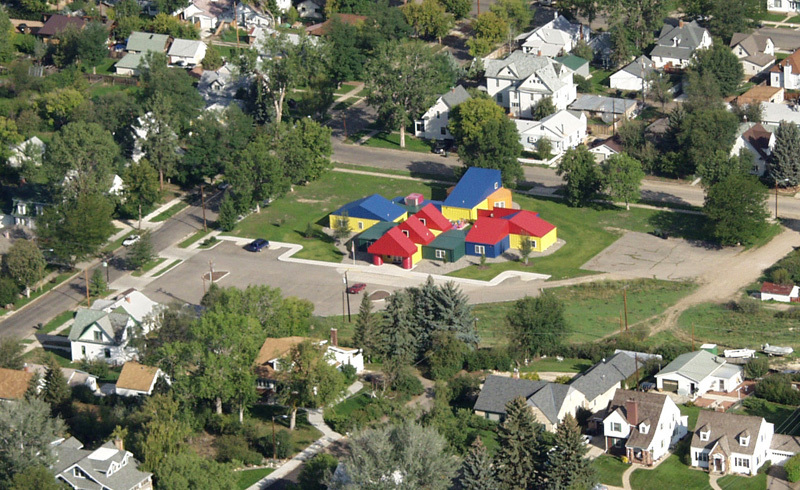 The Child Development Center, partially funded with a Community Development Block Grant, was a fast track design-build project completed in close cooperation with the contractor, Fry Construction of Sheridan. The building was the recipient of an American Institute of Architects, Wyoming Chapter, Award of Honor, February, 2000.